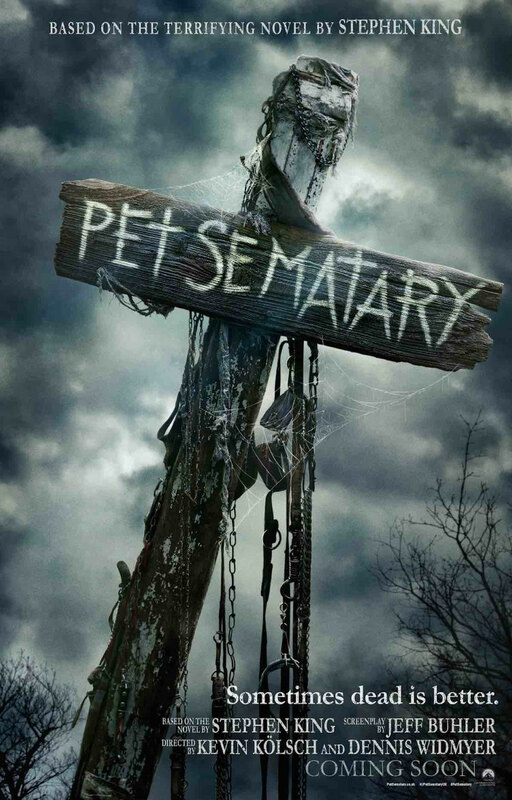 Pet Sematary, directed by Kevin Kolsch and Dennis Widmyer and starring Jason Clarke tells the story about a family that moves into a house and discovers an Ancient burial ground on their property. After ER doctor Louis has a paranormal experience working in the Emergency Room, Louis and his wife Rachel are haunted by two different ghostly creatures. Believing in the afterlife is the main theme of this film. Compared to the original film there were elements of it throughout the remake. The overall cinematic structure of the film was a dark homage to 80’s classic horror. The mood of the film mirrored that old-school feeling that scary movies gave off years ago. The actors onscreen chemistry were fitting and the writing was true to its originality. The effects did not overshadow the tone of the film. Overall the film was very entertaining and storyline convincing. However, I did feel that the movie was a bit short; like there is more story to tell, but something is missing. I would go for a prequel to this film and tell the story of how and who created that burial ground in the first place. There is definitely more that can be created as a franchise feature. I highly recommend this film. The Journey of Rick Grimes all started with him being an average husband, father and Georgia Sheriff Deputy as he went out into the field to serve and protect the citizens of King County. He and his partner Shane answered a routine call to track down a perp in a stolen car. As Rick and Shane engage in attempting to subdue him a shootout erupts, and Rick is Shot in the process. This injury would change the normal path that Rick pursued while putting him in a coma for at least 6 months. When Rick awakens, he finds himself in a hospital bed hooked up to an IV and machines that are no longer working. As he manages to make sense of what’s happening, he realizes that the hospital has been abandoned for some time. He stumbles upon a set of double doors and written on the outside is “Don’t Open Dead Inside.” Unaware of what that really means, Rick manages to get out of the hospital. His first instinct is to locate his wife and son. He sets out on foot to his neighborhood and then his house only to find out the Lori and Carl are not there. Rick tries to convince himself that what he is experiencing is not real but things get worse as he continues to discover the truth. As Rick tries to gather himself outside of his home, he is knocked in the head by a stranger that would later become a friend along the journey. Morgan Jones helps Rick and explains to him what is happening. Rick stressed the importance of how he must find his family immediately. Rick then takes Morgan and his son Duane with him to the local sheriff station where he arms himself with ammunition and other supplies. Morgan Duane and Rick eventually go their separate ways but Morgan and Rick attempt to continue to keep the lines of communication open on a walkie-talkie. Rick soon finds himself among the ruins of a once and vibrant city of Atlanta. It is there where he meets Glenn Rhee and a group of local survivors. The relationship bond begins to form as they take Rick back to a so-called safe haven which is a camp in the woods not far from Atlanta. It is there where he is unexpectedly reunited with his wife Lori and his son Carl as well as his best friend and partner Shane. From there on, Rick’s Journey turns him into a Hero and a Leader. The group he encounters from Atlanta follows him to the CDC as he searches for answers to what this thing is and why the world has fallen apart. From the devastation of the events at the CDC, Rick leads the group to a quaint little farm which stems from the events of his son Carl being shot accidentally. The trip to the farm leads to loss but also to a road of remarkable strength. Once the farm fades and is overrun by Walkers. Rick must now face the Zombie Apocalypse with a pregnant Lori while Carl is on the mend from his gunshot. Broken by the separation of the group, Rick finds solace in the wisdom of Hershel as he soon finds himself back reunited with his family and friends. They set off to find a more secure place as they are on the road for the majority of Lori’s pregnancy. Rick finds the prison and makes an attempt to create a safe haven for his family and the people around him. After they begin to settle in, and Rick finds the will to manage the issues at the prison, he ends up dealing with the unexpected death of his wife as well as the birth of a little girl that he later realizes is not his biological daughter. He is riddled with grief and regret over his attitude with Lori. He goes into a depressed state but eventually comes out of it. He runs into the Woodbury leader, The Governor and with much determination faces off with him. After the Governor is subdued, the group is out on the road again. Separated again, Rick, Carl, and Michone set off to a place called Terminus. Lead into another trap where killers, psychos, and cannibals dwell. Rick reunites with everyone and meets some new friends along the way, as they work together to take down the people of Terminus. The road is filled with many threats, seen and unseen. As the group gathers themselves in search of a new place. Rick and the group run into a man named Aaron where he brings the group to Alexandria. This is the place where he begins to build his life up again until he realizes that Deanna, the first leader of Alexandria made a deal with the Saviors. Obligated to continue the deal to keep people safe, Rick finds himself in an uncompromising position until he discovers his spark to fight back again. Death is on the rise among some of Rick’s closest friends. He is later faced with another brush with death as Carl is killed and comes to grips that the war against Negan and the saviors are the only way to survive the world. The war is won but as time passes Rick takes on some of Morgan’s “all life is precious” sayings as he spares Negan’s life. Rick spends his time rebuilding civilization with Michone and the others. Rick has dealt with unspeakable violence, by witnessing the dead walk the Earth. By losing his wife, and so many people that he has cared for including losing his only son Carl. By being attacked, traded, by maniacs, Wolves, cannibals, psychopaths and other bloodthirsty villains. Rick has survived, persevered and been determined throughout his journey. I can’t imagine what life is going to be like without him. I don’t think I’ve ever seen such a strong character as Rick. Now as he has entered another trial and tribulation period in his life, we must step back and think is this really the end? Now we know the answer is no. After everything that has happened with his new injury, We know that Jadis helped him to survive. Rick Grimes has evolved into a superhero. All superheroes have a weakness, but superheroes don’t die. Even Superman came back from the dead, and I must say that Rick is TWD’s Superman. He will forever be deemed as television’s greatest man turned superhero. Rick will always be loved and always be part of The Walking Dead. 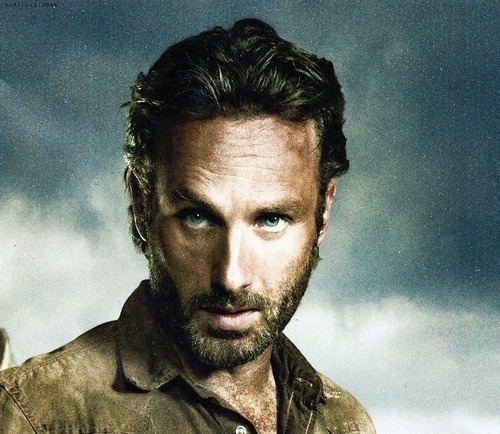 Rick Grimes will forever be loved and adored. Thanks Andy!!! Check out the Trailer to Rick’s Final Episode! Halloween 2018 directed by David Gordon Green, written by John Carpenter and Debra Hill and starring Jamie Lee Curtis continues the decades-old saga between Laurie Strode and her serial killer brother Micheal Myers. Two podcast journalists interested in getting into the mind of Michael Myers unknowingly provokes his killer instinct during a visit at the maximum security facility. Their presence unleashes a chain of events that reeks havoc once again on the small town of Haddonfield Illinois. Laurie spends her whole life preparing for Micheal’s return and in the process has neglected her daughter Karen and granddaughter. As she tries to prepare them and make an attempt to mend their broken relationship, Myers sets his sights on finding Laurie to finish what he started 40 years ago. This movie was a great way to bring a fresh light upon the franchise. A classic in its own right, the evolution of Laurie Strode is just remarkable. Her resilience and strength are awe-inspiring and one of the greatest elements of the storyline is that fact that Laurie is a grandmother now. Jamie Lee Curtis’ portrayal is just plain epic. To see her in this role as a mature woman in Hollywood is magnificent. I’ve always been a fan, but this just makes me love her even more. Micheal’s personality has always been dark and creative when it came to his carnage, and this time it was even more intense. You would think that being locked up for so many years, that he would weaken a bit but absolutely not. There is a moment where his humanity does surface but only for a second, which is followed by the shadows of the monster that we know move within him. There were surprises at every corner and more questions raised about the real family connection that Laurie and Micheal share. There were references from the past films and a great tribute to the legacy that Dr. Samuel Loomis left behind. The effects were realistic and the cinematography had some great elements to it. I think that the casting choices were very wise and overall the movie was fun and exciting to watch. I may try to get back to the theater to see this movie again. There was nothing disappointing about this film. The mood was very classic and I found myself comparing scenes to the previous films. I gave this movie 5 stars! Jurassic World: The Fallen Kingdom directed by J.A Bayona, produced by Legendary Entertainment and starring Chris Pratt and Bryce Dallas Howard is the sequel to the 2015 franchise rebirth film. This film takes place three years after the events of Isla Nublar. This time around the thriving dinosaurs are once again threatened toward extinction with the sudden eruption of a large volcano on the island. Society has now tried to incorporate the fight of animals’ rights to include the once extinct dinosaurs. Claire, now an advocate for dinosaur rights is made an offer she can’t refuse as she is recruited to help rescue the dinosaurs from the deserted island. She then reaches out for her ex-love interest and raptor trainer, Owen to help with the rescue mission. Before you know it, the two find themselves intertwined in a vicious plot that includes genetics specialists and other scientists that are out to weaponize the dinosaurs and potentially make billions of dollars in profit off the animals. If you’re looking for a good action adventure to kick off the official summer season, then Jurassic World: The Fallen Kingdom is the film for you. This movie is a lot of fun to watch even though you are already going to expect certain elements when it comes to the franchise film. I adore Chris Pratt in this role, but I also like Bryce Dallas Howard. I do feel like there was a little bit of disconnect between the two characters this time around but maybe that was intentional since the two did not end up together after the first film. There are some interesting new twists in this movie and some cool new dinosaurs. When you really think about what science has become, it really is scary and not much entertaining. But I must say that the film was entertaining and exciting. The effects were better than ever, and you can definitely see how much CGI and digital film technology has improved the franchise and industry as a whole. I was very impressed by the visual representation throughout the movie. Jeff Goldblum did make a cameo appearance, but like many moviegoers, I was disappointed in his lack of screen time. I wanted him to have a more prominent role in the film, but I understand the concept of infusing some of the past without losing the purpose of bringing the franchise into the future. This movie should be on your summer watch list. I gave this film 4 stars. Avengers: Infinity War produced and distributed by Marvel Studios, directed by Anthony and Joe Russo and starring Robert Downy Jr. was a cinematic spectacle. The movie also stars a host of Hollywood’s elite actors, such as Chris Hemsworth, Benedict Cumberbatch, Chadwick Boseman, Mark Ruffalo, Scarlette Johanson, Josh Brolin, Danai Gurira and so many more! The movie is basically a continuation of the events that occurred in Thor Ragnorok and begins to tie the events from the previous Avenger movies as well as the other movies within the Marvel Universe. The movie follows Thanos’ quest to rule the Universe as he inquires all six of the Infinity Stones. At this point, everyone knows that he is successful in his rise to power. As the Avengers, Guardians and other Marvel Superheros band together to stop the carnage, there are many losses that are difficult to bare. Don’t’ worry, my Marvel research has revealed that all is not lost and that good will still triumph over evil. According to my sources, the Avengers and other beloved characters will be resurrected by new Superheros in the Marvel Universe. I was so excited to see this movie that after I left the theater I couldn’t sleep. It was such a thrill ride. It was amazing. The script was great, all of the actors came together to create such a balance. They did a wonderful job in building and maintaining great chemistry. We had the chance to go into the lives of characters that we have only seen on the battlefield. The personal connections that each character had, was believable and what I loved about this, is that even though every character looked different, or came from a different culture or race; they all shared a common goal and came together to work as a team to help save the Universe. They embraced each other’s differences and unique abilities to help each other. The special effects exuded the high standards of what Marvel represents in cinema. The mood of the film changed with the events and the experiences of the characters. This movie is worth seeing a second time, so if you can go see it again, do it. Even if you don’t follow the comics you are not alone and won’t feel overwhelmed. There is nothing bad that I can say about this movie, but I will say, that I don’t ever remember coming across a villain that is as dark as Thanos. Who could be worse? I do have Negan on my mind but what do you think? I gave the Avenger’s Infinity War 5 stars for overall Greatness! I can’t wait for Infinity War part 2!! Marvel’s Black Panther Directed by Joe Robert Cole and starring Chadwick Boseman, Danai Guirra and Lupita Nyong’o tells the story about a man’s rise to power as he claims his right to the African Throne of Wakanda. Wakanda is a technologically advanced African nation that is isolated from the outside world. As T’Challa embraces his new role as King, he is constantly challenged as the secrets of his past begin to surface. He struggles to maintain the throne and keep Wakanda’s existence concealed from everyone. The modern world and the realm of Wakanda quickly begin to clash once an ancient Wakandian artifact is stolen from a museum. The secrets of Wakanda’s technology are about to become public knowledge from the exposure of a past and new arising threat. Overall, I thought that this movie was very engaging and filled with action. I would not expect less because of the high expectations that Marvel Comic movies present. Everything fell into place nicely. The Score took you on the journey with the characters, and the special effects were impressive. There were some moments that could have been cut in the editing room, but for the most part, the movie was well made. The cast was great, and Boseman did well in portraying his character, but I must say, seeing Danai in action made me love her even more. Obviously, I’m a big fan of TWD, so I felt that Danai stole the show in so many ways. Her strength and tenacity within her acting were so inspiring that it made me want to see more of her. Her character and (developed) backstory could be featured in a stand-alone film. Danai was spectacular! I know I didn’t really mention the first villain, (Ulysses Klaue) Andy Serkis, but It’s important because he also played a significant part in The Age of Ultron film. (Everette K. Ross) played by Martin Freeman reprised his role as prominent CIA Agent investigating the peculiar Earthly revelations that technology has embarked within the modern world. (Ross also had a prominent role in (Captain America Civil War) as well. It was nice to see Serkis and Martin Freeman together again. It’s very clear that Marvel is crossing over all the films so that they can become a cohesive Universe. All the pieces of the puzzle are beginning to fit very nicely. This is setting the tone for the first Infinity War Movie which is set to release in theaters this May. I saw a clip of the Avengers alongside the Black Panther and Okoye running toward something. I’m sure the clip is still floating on the internet. Black Panther was a great film; it is a must see. I give this movie 5 stars!